I saw a Facebook thread recently with glowing comments about the Yuletunes holiday compilation put together by Shoes on their own Black Vinyl label back in 1991. It felt like a good time to revisit that album as well some of my other holiday favorites. The following list originally ran on Christmas Day, 2015, but I had given each of these treasures more extensive coverage in previous years. 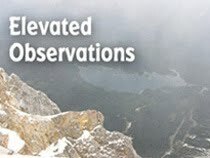 Check out December listings on Broken Hearted Toy over the years for even more holiday music related posts. 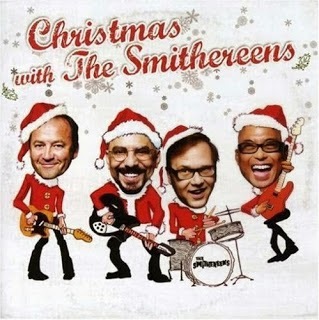 In 2007, The Smithereens brought their power pop approach to a mix of originals and cover versions on Christmas With The Smithereens. “Waking Up On Christmas Morning,” which can also be found on the Hi-Fi Christmas Party and Ho Ho Spice collections, is a catchy tune penned by guitarist Jim Babjak. The fast-paced “Christmas Time All Over The World,” written by Babjak, singer Pat DiNizio, drummer Dennis Diken, and original bassist Mike Mesaros, celebrates hugging and kissing under the mistletoe, and compares the holiday to a big rock show. Released in 2002, Hi-Fi Christmas Party was put together by vocalist-bassist Dan Pavelich to help fund research for Von Willibrand’s disease, a bleeding disorder that had stricken his daughter. This easy-going holiday compilation included contributions from several local and national power pop acts. Pavelich led his band The Bradburys through the romantic and highly energetic “I Love It When It Snows!” Other artists involved with this worthy effort included Don Dixon, The Jellybricks, Andrea Perry, The Ted Ansani Trio, Lisa Mychols, and The Spongetones. On Hi-Fi Christmas Party Volume 2, Pavelich kept the focus on original 1960s-style power pop, although The Elvis Brothers traveled back a little further on their very fun “Rock-A-Billy Christmas.” Lisa Mychols joined The Wondermints on the Leslie Gore-influenced “Lost Winter’s Dream,” and Husky Team, which included Smithereens drummer Dennis Diken, delightfully mixed “Auld Lang Syne” with “Green Onions.” Volume 2 also featured The Grip Weeds, Jeremy, The Bradburys, Rob Paravonian, Joey Molland and The Echo Boys, The Spongetones, and The Brothers Figaro Orchestra. Hi-Fi Christmas Party Volume Three followed in the amiable tradition of its two predecessors, with another selection of mostly original material. Sketch Middle’s “Very Very, Merry Merry” had an energetic power pop buzz, and The Jigsaw Seen’s “What About Christmas?” was another highlight. The Click Beetles, a Pavelich side project with drummer Ed James; The Yule Logs; The Sun Kings; Jamie and Steve from The Spongetones; and Jim Babjak of The Smithereens also contributed catchy holiday tunes. Most of the bands on A Kool Kat Kristmas Volume Two took a cheerful approach to the holiday, even when it comes under unusual circumstances. As with Volume One, a portion of the proceeds for each sale went to the Susan Giblin Foundation For Animal Wellness and Welfare. “Christmas Is Coming Again” by The Pencils (who reunited for this effort) and “Snowbirds” by The Honeymoon Stallions celebrated holiday traditions, using lush harmony vocals and ringing guitars. The Connection used playful, old time music on “Poor Boy” while proclaiming that you don’t needs loads of money to enjoy Christmas as long as you’ve got rock and roll. Shake Some Action and The Tor Guides adroitly employed mid-1960s jangle for songs about observing the Yuletide in non-freezing weather and getting cool records as gifts on “Christmas In The Sun” and “Beatles Vinyl,” respectively. Other acts on board included Split Second, Dan Kibler, The Bottle Kids, and The Genuine Fakes. Back in 1993, Christmas Time with Chris Stamey And Friends had the feel of an old-fashioned variety show. Chris Stamey, a founding member of The dB’s, played host, and kicked things off with the catchy “Christmas Time.” Stamey also teamed up with vocalist-guitarist Wes Lachot for the wistful “Christmas Is The Only Time (I Think Of You)” and joined vocalist-keyboards player Cathy Harrington on the high-charged romance of “You’re What I Want For Christmas.” Big Star checked in with an original rocking hymn called “Jesus Christ,” and founder Alex Chilton offered a positively cozy acoustic version of “The Christmas Song.” Vocalist-guitarist Peter Holsapple of The dB’s served up a simple but beautiful “O Holy Night.” Brent and Kristen Lambert, Syd Straw, The dB’s, Don Dixon, and Marshall Crenshaw also took part in the this rock and roll Christmas classic, which has been expanded a few times over the years. Guitarist/actor/radio show host Little Steven Van Zandt morphed into a crazed Santa for the ambitious 2008 holiday compilation Christmas A Go Go. He threw in some genuine rarities, like a surf rock reinvention of “Santa Claus Is Coming To Town,” delivered by 1950s kids show host, Soupy Sales and actor Joe Pesci's wiseguy treatment of Gene Autry’s “If It Doesn’t Snow On Christmas.” The Boss Martians gave Charles Dickens a spin with their high speed rock song, “3 Ghosts (A Modern X-mas Carol),” and The Electric Prunes created a psychedelic and slightly unsettling version of “Jingle Bells.” Other highlights included The Kinks’ funny but ultimately goodhearted “Father Christmas” and Keith Richards romping through Chuck Berry’s “Run Rudolph Run.” Darlene Love’s “All Alone On Christmas” (written by Van Zandt and featuring him and The E Street Band), and Tina Sugandh’s “White Christmas,” with its gorgeous vocals and exotic sitars and tablas arrangement, were also standout tracks. Could GAME OF THRONES Be Giving Us a Version of DC Comics’ BLACKEST NIGHT?